Breakthrough Basketball Shooting, Ball Handling & Finishing Camp in Spring Green, Wisconsin! We're pleased to announce that we have arranged for Bryson Davis-Johnson to come to Spring Green, Wisconsin to run a 3-day skill development camp. This is a hybrid of our popular "Shooting" and "Ball handling & Finishing" Camps. Coach Davis-Johnson spent three years on the University of Indianapolis men's coaching staff. In his second year, Davis-Johnson guided five all-conference players, including all-defensive member Ajay Lawton. Along with second-team members Eric Davidson, Jesse Kempson, and Jimmy King, Davis-Johnson also mentored freshman Tate Hall to the conference's award for top rookie. The Greyhounds went 16-12 on the season, but a 12-6 record earned the team the five-seed in the conference tournament, which led the team to the second before succumbing to Wisconsin-Parkside. 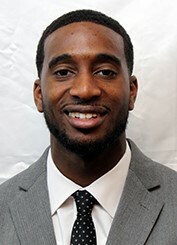 Davis-Johnson played one year of Division III basketball at Millikin University in Decatur, Illinois (2009-10). He began his coaching career as a volunteer assistant at Charleston High School in Charleston, Ill., while still in undergrad. During his student teaching he was an assistant coach at Danville High School in Danville, Illinois. He taught physical education at the elementary and middle school levels as well as coached high school basketball at The High School of St. Thomas More in Champaign, Ill., for two years following graduation. A native of Champaign, Davis-Johnson played four years at Centennial High School. As a high school senior, Davis-Johnson was the co-captain of a Centennial team that went on to win the IHSA class 3A state championship (�09) and was named to the News-Gazette all-area honorable mention list. Otherwise there is a $97 fee to attend as an "observing coach". You will get to learn new drills and techniques from Bryson Davis-Johnson, just like all the players and other coaches in attendance. Visit this link to reserve your spot as an observing coach. If you have any questions, don't hesitate to email us or request a phone call.